Complete Antenna System including 71 foot antenna for 160-6 meters, 50' RG-8X coax and a feed line choke. Pack and Go Antenna System. FREE Shipping in USA! BUY 2 and save even more! 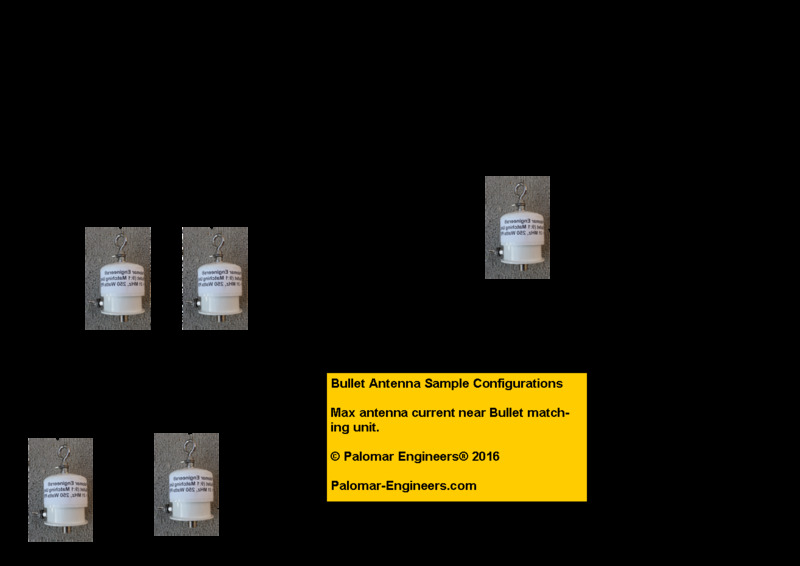 Our antenna matching network is called the “Bullet” because of it shape and its effectiveness at taking down or contacting distant (DX) stations all over the world under the right conditions. 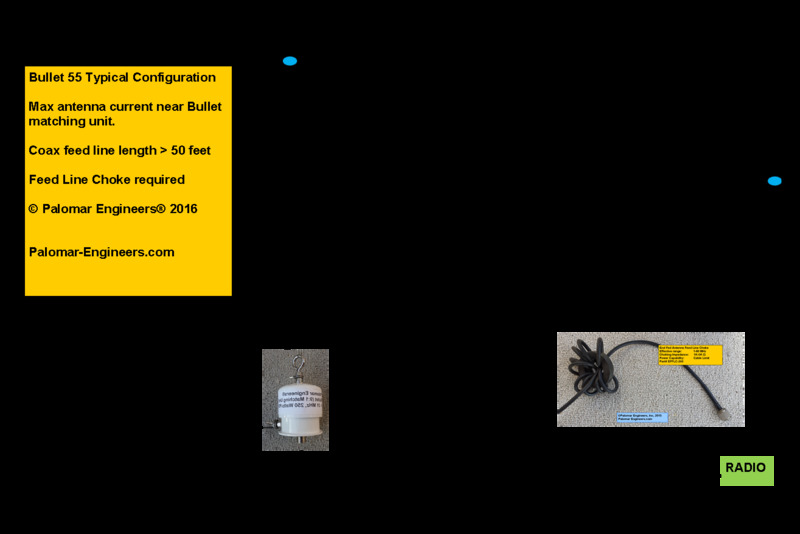 We sell the Bullet matching unit separately so you can add you own wire type and length (see table of suggested lengths below) or you can purchase a complete antenna system including wire, end insulator and support cord. 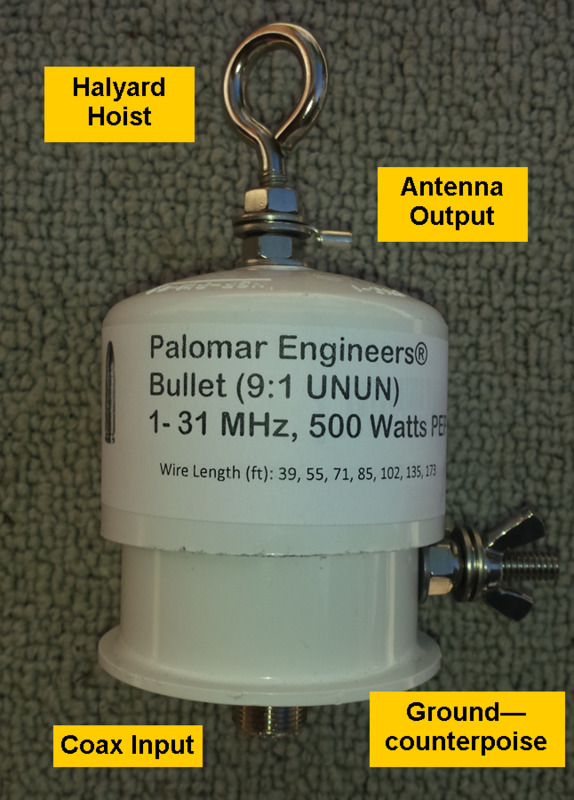 Available as the Bullet-9 (1.8-31 MHz) or 9LF (.2-30 MHz) for VLF use. 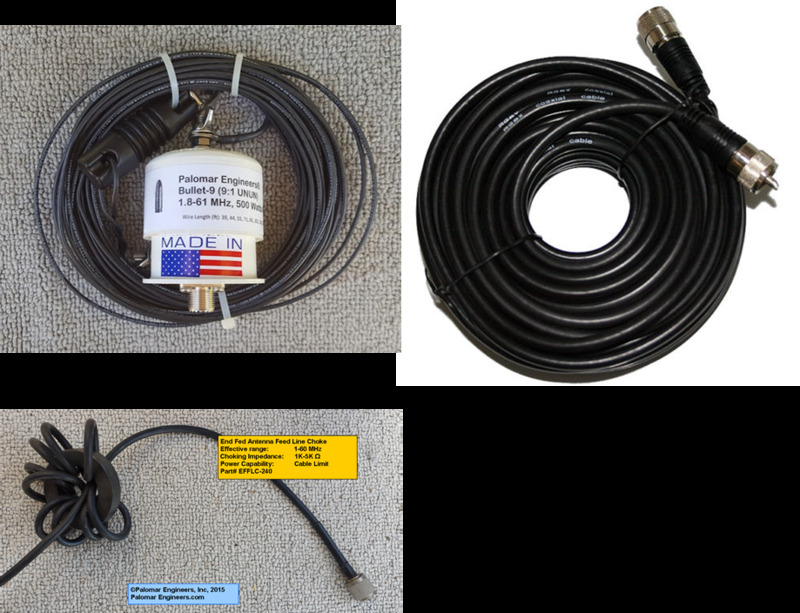 For best results we recommend that the coax feed line be at least 1/4 wavelength on the lowest operating frequency since the coax braid is used as a counterpoise if you don’t use the external counterpoise terminal on the matching unit. We also recommend a feed line choke at the end of the coax feed line near the radio to prevent RFI common mode current from interfering with the radio. . If you run more than 500 watts PEP and need a high power 9:1 unun for your end fed antenna, check out our 1.5KW and 7.5KW PEP ununs.